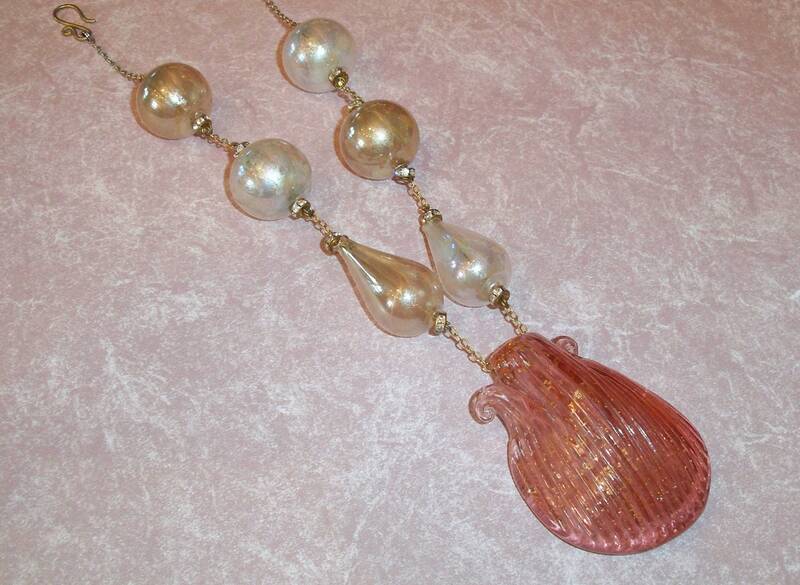 Very Vintage Yves Saint Laurent Necklace with hand blown bubble glass beads and pink glass shell centerpiece. 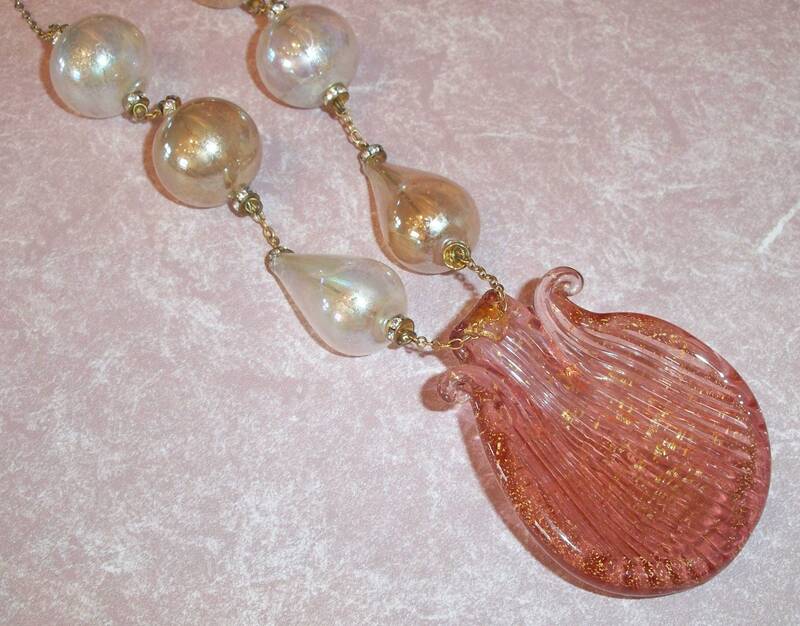 The pink glass shell has gold flecks throughout the glass as shown in the close up of the back. 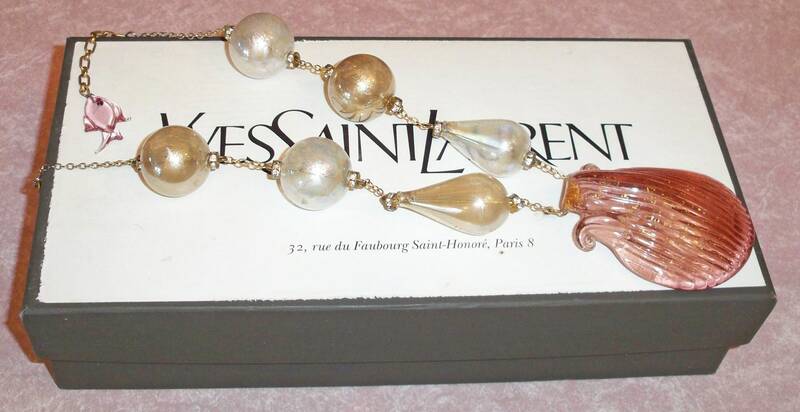 This necklace is 19 inches long with a wonderful little fish dangle and huge signature YSL hook. It also comes in the original box that is a whopping 10 inches. This item was purchased out of a Central Florida estate. 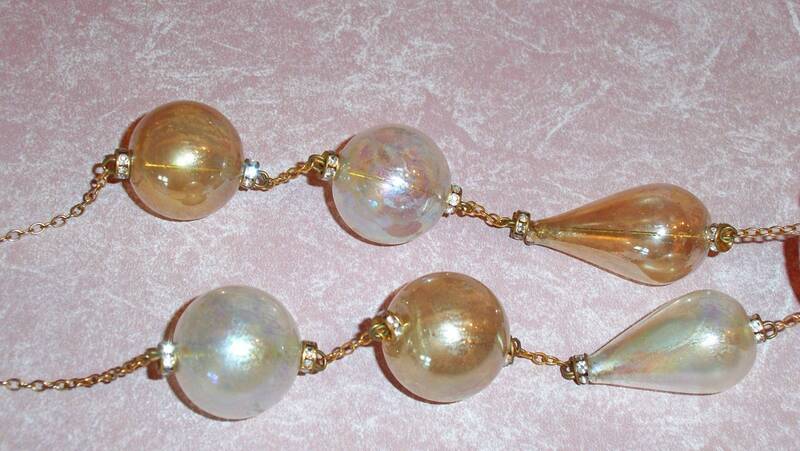 This necklace is in very good condition. Tiny rhinestone rondeles flank the bubble beads. 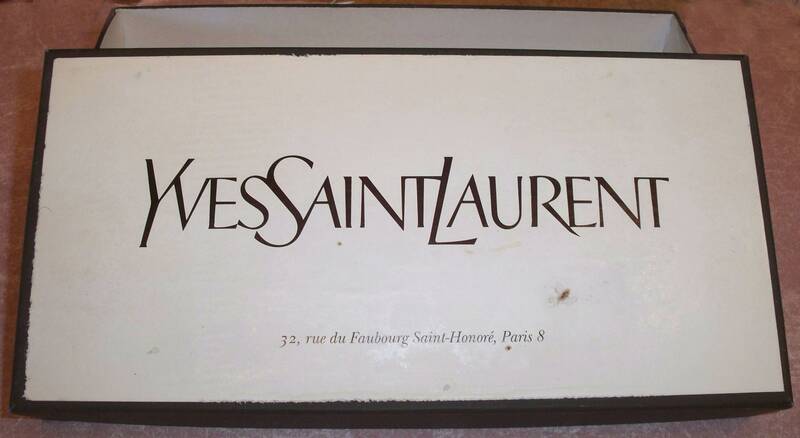 The box is in good condition, it was stored in humid gulf coast area so there is some wear to the label as shown in the close up. These necklaces are highly collectible and prized for their unique style and limited availablity. Excellent vintage condition w/ minimal age appropriate wear (i.e. light surface scuffs/scratches) and no damage (i.e. no discolored, broken or missing parts or pieces) except as mentioned in above description.